Trials. The Bible says to rejoice in them. Have you ever rejoiced in your trials? I haven’t. I don’t even know what that means. How can you be happy about a trial, especially when it’s ripping your life and your heart apart? The night we were in the ER, my life changed. All I could see that night was darkness. Sometimes if I would squint into the darkness, I would see the light, waiting for me to run to it. But mostly it was just a scary, dark night. The next few days were blurs. In fact, I just had to go back and reread my journal to make sure they actually happened. But I wrote words about them, so I guess I kept on breathing. Today it's been almost a week since the dark night. And while we’re still adjusting and trying to figure out what our life looks like now and trying to make hard decisions, the fog and the darkness is lifting. I can feel the fresh air and the sunshine on my face. Not every moment, but some. The other night I went to a friends house to pick some things up, and on the way I talked to Jesus. I’ve been praying, it’s been more of the groaning, wordless kind of prayers. I haven’t known what to really pray. But that night, I was able to find the words to tell Jesus that I feel scared and that I needed Him. We gave our whole hearts and lives to God. They are His. While I’m scared at the thought of losing my best friend and my partner in everything, he’s not mine to keep. I want to keep him, and I’m praying I will, but he belongs to God, just like I do. Like my kids do. We are missionaries. We’ve poured our lives into serving this God of love. What God is most concerned about is saving the lost, so that’s what we’re most concerned about too. If God can use this situation to somehow show His love to, say, 4 people who then chose to follow Him, then we’re ready! If taking my husband’s life will save even one person, then we freely give it! I feel so unworthy that God would chose us for the honor of this hard task. I kind of feel like Abraham and I’ve been asked to offer up my precious husband. I’m willing. It’s hard. But I’m willing. And oddly enough, I’m rejoicing in this trial. Still not every moment, but more and more. As the sunshine warms my face and my lungs fill with fresh air, I find more joy in each breathe. I am yours, Lord. I trust You. 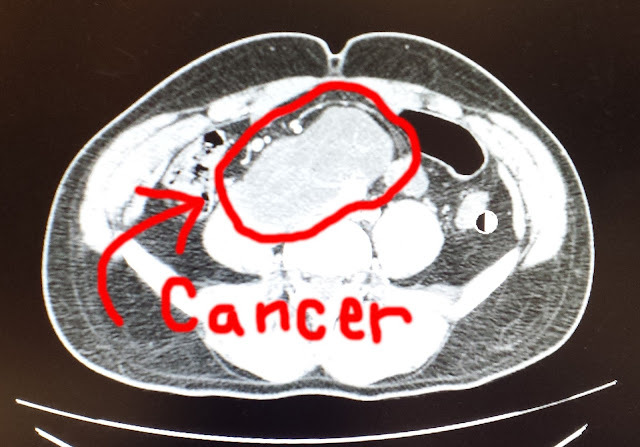 I just found out Jan 4th that I have an aggressive breast cancer that is also in my lymph nodes. I'm waiting on a biopsy. I told the doc, "I'm only 38. I have 6 kids. I just can't believe this." I was and STILL am in shock. Please pray for me and I'll pray for y'all as well.